This week we’re pinning our Spa Bathroom inspirations to our group Pinterest board – Bathroom Design Ideas. If you want to be added give us a shout-out! Q1.) What key elements and features help define a spa bathroom? Q2.) 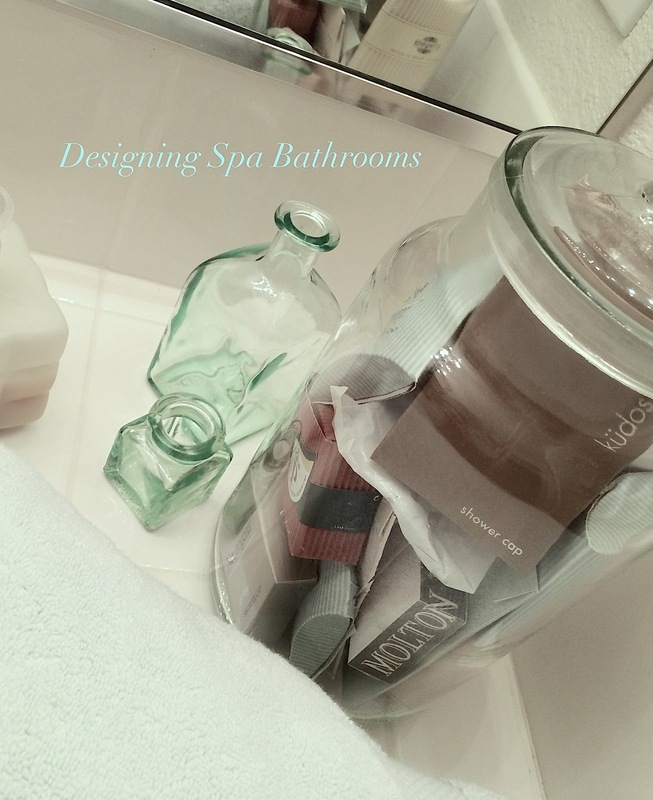 Do certain materials or design esthetics help create a spa feel in a bathroom? Explain! Q3.) What tips do you have to create a spa oasis in an existing bathroom? Q4.) Do you incorporate aroma-therapy or chroma-therapy elements into your designs? If so, what are your go to sources? Q5.) LED lighting adds a soft, relaxing feel to bathrooms. Share ways to incorporate LED into the bathroom. Make sure to share pictures of spa bathrooms you like! A design discussion hosted by color expert Amy Wax. Green gives a fresh, natural feel, a perfect concept when it comes to food. What are great ways of adding green to your kitchen design? Texture has become such an important feature in all forms of design. Name some great ways of bringing texture into your kitchen or bath designs? Is there a single element that motivates your color palette such as cabinetry, dishes or flow from other rooms? What tools have you used to match the colors of your counters or dishes to create a more fluid design? What is the better direction to go in – White & Efficient OR Colorful & Inviting? As designers do you prefer warm or cool colors in your kitchen and bathroom decor? Explain! How have color trends affected kitchen or bathroom design over the years? Amy works with architects, designers, builders and homeowners to select the colors for paints and other products that help their projects stand out. Eighteen years ago, she created Your Color Source Studios Inc., a firm that specializes in selecting colors for residential and commercial architectural use. A list of the company’s many projects include aiding in the development of color palettes for a Fortune 500 company, color and product selection for two projects that received Gold LEED status from the U.S. Government’s Green Building Council, and the creation of color palettes for numerous residential and commercial buildings. Amy created the Color911® app and blog to help people add color to their lives—whether someone is selecting colors for their home or business, or selecting colors for fashion, graphic design or another artistic use. The app shows how color enriches our lives, and it turns what is a difficult process for some into something that is truly satisfying and fun. Just a few of the accolades it has received have been being named a “Product of the Year” by This Old House Magazine, a “Can’t-Live-Without” app by Architectural Digest and a “Must-Have Resource” by Lonny Magazine. Amy hopes that Color911® helps you find the colors you love most, and inspires you to add color to your life! Amy has a fantastic instagram feed. We recommend you follow her there too for color inspiration! 1.) What features help create a Zen style bathroom with stillness and tranquility? 2.) Opposites attract. In what ways can this Yin Yang concept be used in creating a Zen bathroom design? 3.) How can natural elements be used to create a relaxing bathroom? 4.) How can we edit our designs to keep everything simple but have everything that is necessary in the bathroom? 5.) Share products and ideas you like that fit the Zen aesthetic. 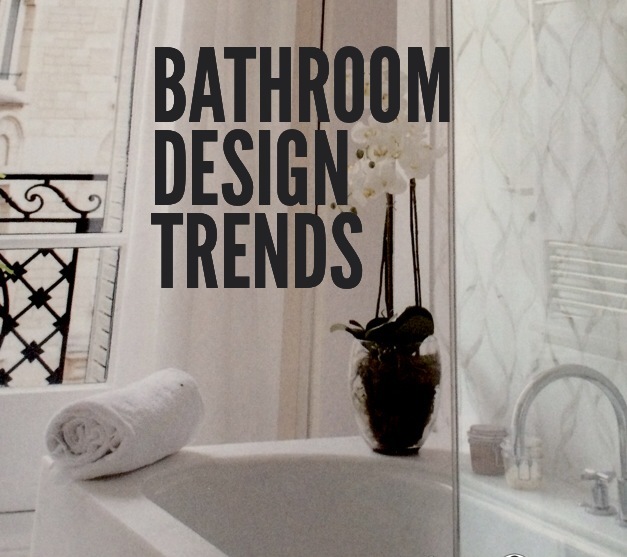 What’s Trending in Bathroom Design? The kitchen and bath industry professionals of KBtribechat will be discussing the latest in bathroom design at the next KBtribechat! Our lighting choices for the bathroom are ever expanding and evolving. LED is being added in creative ways. Q1 – What lighting products are you excited about for the bathroom? Finish options for plumbing fixtures and bath hardware are abundant to say the least. With so many choices available, the personalization trend in home design is strong….but is there a most popular material? Q2 – What finishes are trending for the bathroom and why? Share pics! At KBtribechat, we have noted that walk-in showers are very popular. There are so many shower head design choices available. What type are you specifying for your clients? What type of shower head(s) do you prefer and why? Q3 – What’s trending regarding bathroom showers? Let’s talk countertops, flooring and walls! Q4 – What surfaces are currently trending for the bathroom? Q5 – In general, what’s trending now in bathroom design? Please share pics of bathrooms! What are key Spa Bathroom elements? What colors are best to create a relaxing environment for a spa bathroom? What materials to you recommend when designing a Spa Bathroom? For the flooring? Countertops? Showers? How important is technology with items like mood lighting, the ability to have music played, the adjustability of the water settings? What luxurious spa bath products do you recommend? Please share with your KBtribechat friends! Share pictures of spa bathrooms you love!